The CSIA certified technicians at Des Moines Chimney Sweep provide high quality services at affordable prices. We care about our customers and the safety of their fireplaces, which is why our detail-minded technicians thoroughly and efficiently inspect and manage each project we take on. Des Moines Chimney Sweep - Where superior service and extensive experience come together to ensure the safety and enduring quality of your fireplace. We have had Shawn work on our fireplace since 2010. We were in need of a new lining and some chimney brick work. We found Shawn to be very honest and forthright with the work needed and the safety to run our fireplace through the winter months. We had a gas fireplace, which we wanted to change to wood burning with gas starter. He was able to accomplish that task for us as well. We found his pricing to be very competitive with the market and fair for the work load needing to be done. We purchased our house in 2010 and when it was inspected we were told the fireplace was a fire hazard until the above work was completed by a licensed individual in the industry. 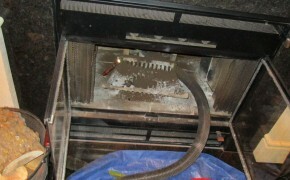 Shawn completed all the work necessary to run our fireplace in a safe manner. He was prompt on delivery of service and very professional. 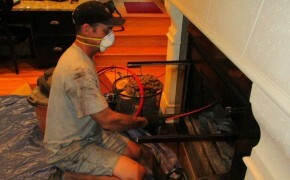 We have used Shawn each year since then to do all our chimney sweep needs. He shows up when he says he will, he charges what is quoted, he is clean and efficient in his work performance and we trust his work and his experience in the field. Shawn, in my opinion is a very hard working young man with the skills needed to do a fair, safe, all around great job on any fireplace needs. The CSIA certified technicians at Des Moines Chimney Sweep are available to provide Des Moines and the surrounding areas with the best Annual Inspections of their chimneys as well as Level I, Level II and Level III inspections as needed. When you work with Des Moines Chimney Sweep you can feel confident that you will receive the highest quality service from knowledgeable, experienced technicians. A clean chimney and fireplace is one of the best ways to help prevent a fire in your home. When you hire a CSIA certified chimney sweep to inspect and clean your fireplace and chimney at least once a year, you will be drastically reducing the chances of encountering a fire caused by combustibles that have built up within your fireplace and chimney. In conjunction with ensuring your chimney is running as safe and efficient as possible, regular maintenance will also help with the continued longevity of your heating system. 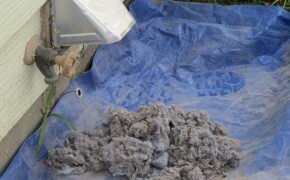 Most of the 15,600 dryer vent fires reported by the Federal Emergency Management Agency are caused by the build up of lint and other materials within a dryer's ventilation system as well as the ventilation system itself. With proper dryer vent cleaning from the professionals at Des Moines Chimney Sweep you can be confident that your appliance will be running efficiently and safely. 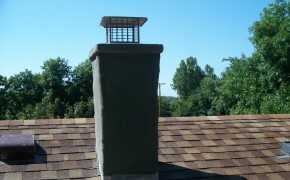 To defend against rainwater, debris and unwelcome animal guests, Des Moines Chimney Sweep recommends a chimney cap. This device will help prevent rainwater from entering the chimney liner and causing rapid deterioration. Chimney caps also help mitigate the chance of chimney fires because flammable debris like sticks and leaves won't be blown into your chimney during windy Iowa days. 2019 Copyright. All Rights Reserved. Chimney Sweep.